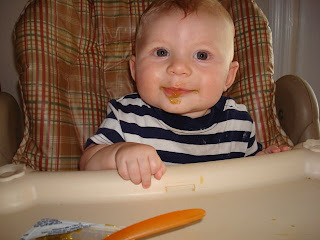 April's Little Family: Green Beans are GOOD! 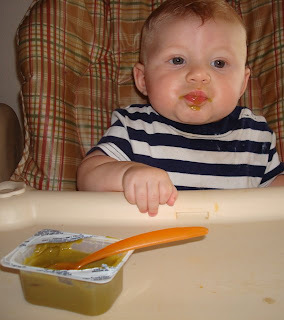 JJ tried green beans today and he gave them two slobbery thumbs up. 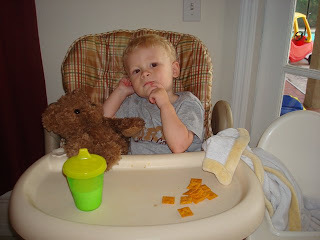 Casey refused to eat his after-nap snack without Bear and Blankie. He even offered Bear a few crackers. 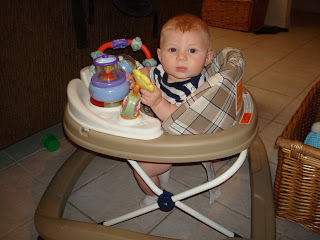 Bear politely said "no thank-you"
JJ kept getting his walker stuck. I think he was trying to parallel park or something?! Whatever he was trying to do, it wasn't working and he was getting mighty cranky. Casey, as you can see, is now obsessed with all buckles. 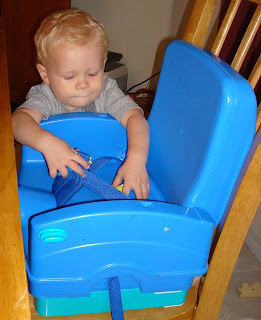 I've included a picture of him desperately trying to get to the one on his booster seat.